Despite the huge disappointment of Wu Tang Clan cancelling the European leg of the tour, the folk at Tramlines have wasted no time securing not one, but two suitable replacements to ensure Tramlines ticket holders will not be disappointed. 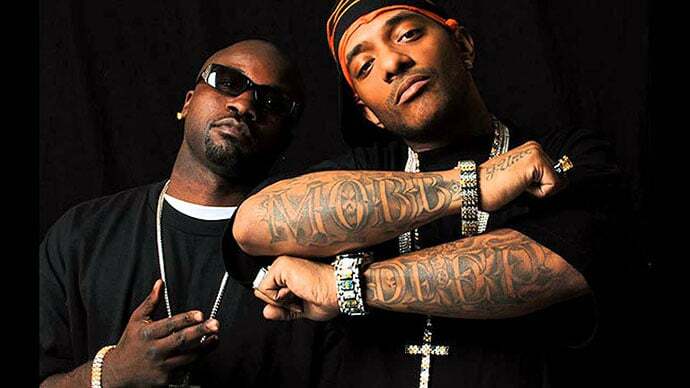 First up will be critically acclaimed and highly influential East Coast duo Mobb Deep. Riding the success of songs like ‘Shook Ones, Pt.2’ and ‘Survival Of The Fittest’, it’s safe to say the two have solidified their status as hip-hop greats. The stage will then be handed over to legendary trio De La Soul, who will be treating punters to hits like ‘Me, Myself and I’ and ‘The Magic Number’. Regarded as the future of hip-hop since their debut album 3 Feet High And Rising, the band have garnered an incredible following with their own unque style of eclectic sampling, quirky lyrics and jazz rap – they are unmissable live. Stage times have had to be reshuffled slightly to make time for both acts on Sunday, so be sure to visit the Tramlines scheduling page here for all the latest updates. Mobb Deep will be performing on the Main Stage at 7.25pm, followed by De La Soul at 8.15pm. For more up to date Tramlines info, follow them on Twitter @tramlines.